This kit is competition-proven for quick opening of hood and has show-type eye appeal. 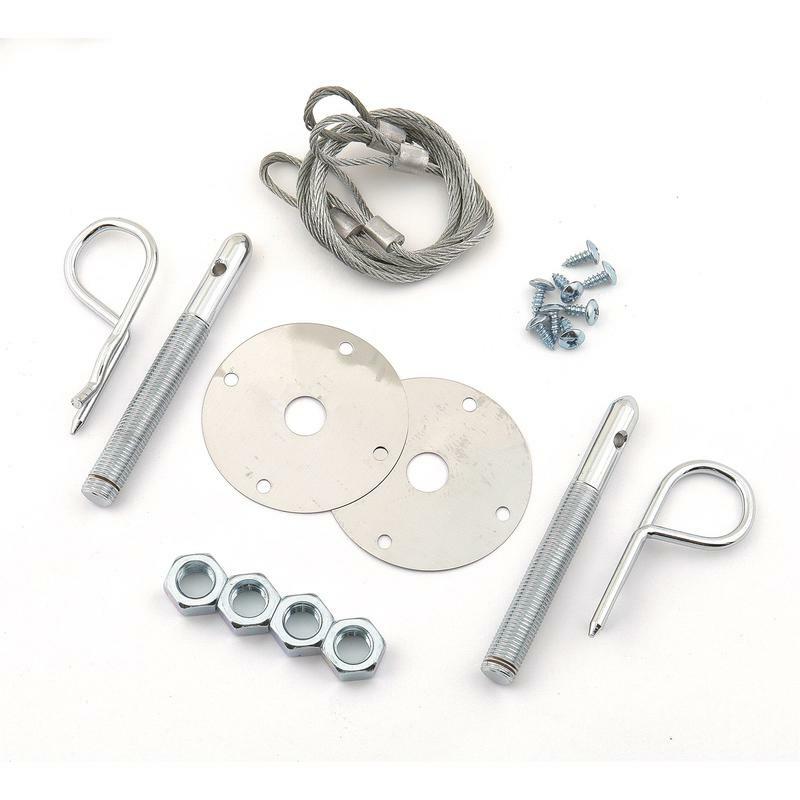 Stainless steel scuff plates and long lanyard cables make a super kit that installs easily. Two per set.